OpenFramework addon to read that from PulseSensor develop by Joel Murphy and Yury Gitman. 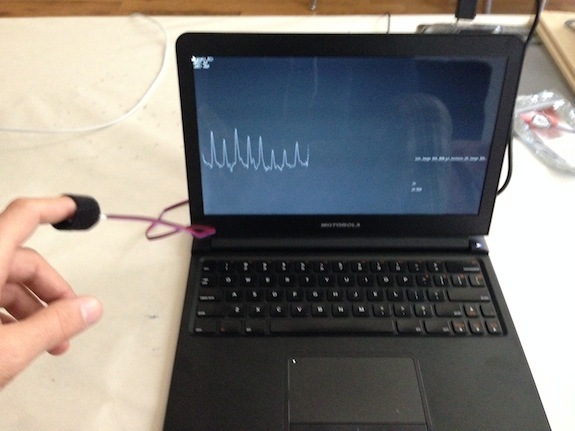 This addon helps you get the heartbeat (BPM and IBI) and use it in your openFrameworks project using the GPIO's of your RaspberryPi or by using an Arduino to send the signal by Serial connection. RaspberryPi don't have analog-in like Arduino. That's why we are going to use MCP3008 to transform the resistance of the photocell into pulse frequency. 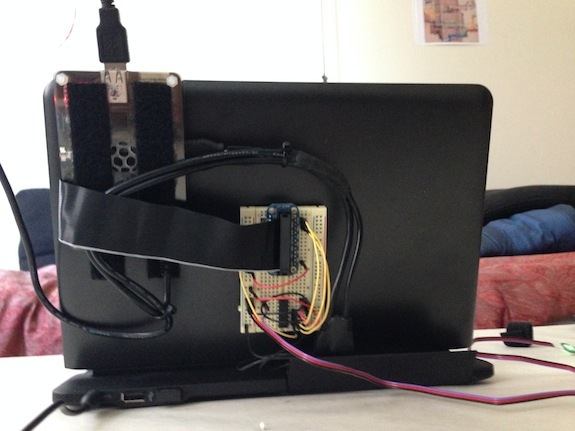 Maybe you also want to by the Pi Cobbler breakout to make the connections easier. Everything is almost like this tutorial except that we are not using #23, #24 and #25 instead we are using SPI just like Jason Van Cleave and Andreas Muller did in this example. 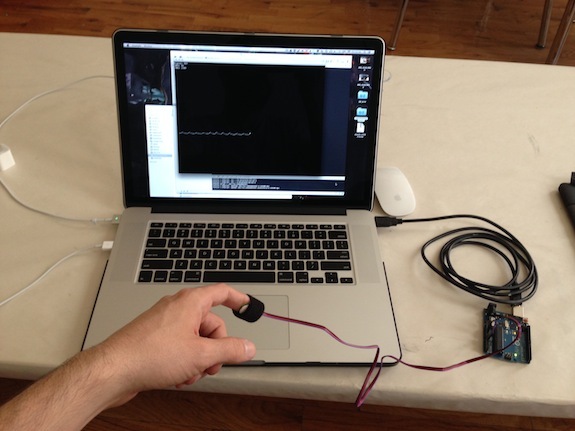 Off course instead of using a potentiometer the PulseSensor. 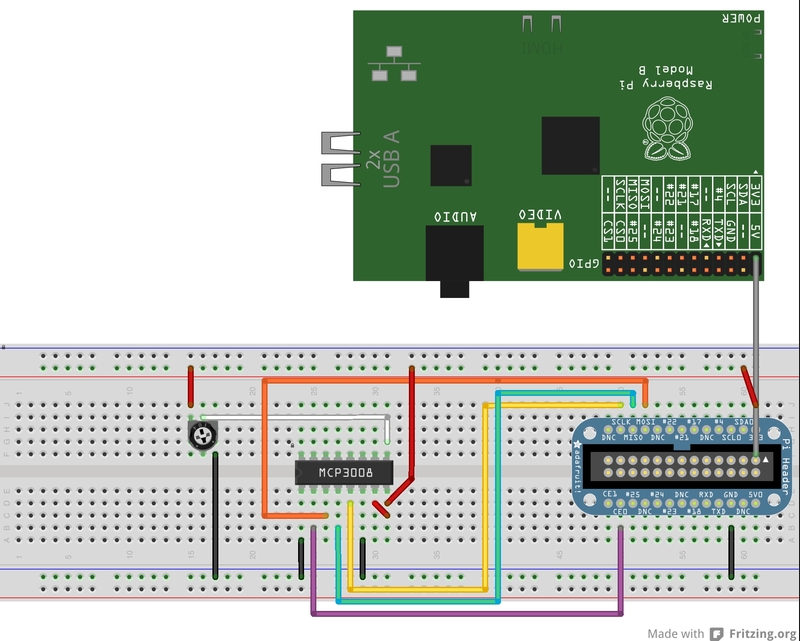 Configure your RaspberryPi for wiringPi ( https://github.com/openFrameworks-RaspberryPi/openFrameworks/wiki/Raspberry-Pi-Using-the-GPIO-pins-with-Wiring-Pi-and-openFrameworks ).